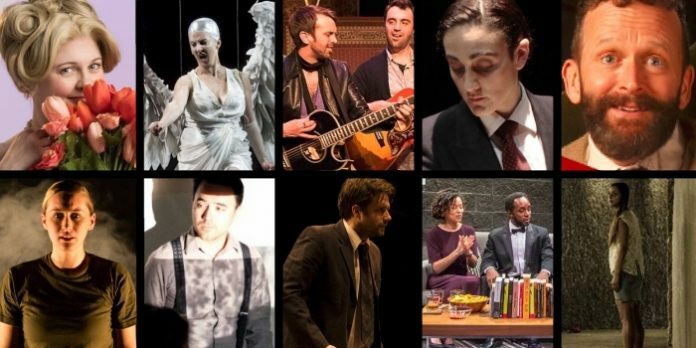 Each year for the past nine, I have celebrated the best of Vancouver theatre over the preceding twelve months. Being big on tradition, I present the best of Vancouver in 2017. There are a couple of changes though. This year’s list includes shows picked by and in consultation with contributors Katie Gartlan-Close, David C Jones & Chelsey Stuyt. As it is near impossible to see and review everything our city has to offer, I am grateful to them for helping to cover as much of the local theatre scene as possible. And rather than any attempt at ranking this year, I am simply going to list the ten best in alphabetical order. As with previous years, to once again prove how difficult it is to pick only ten, I also present a bonus five which also deserve mention (and another five who would normally not be recognized in my annual list). As always, I am grateful to the Vancouver and touring companies who continue to invite me and my fellow writers to see their shows. I encourage you to make a New Year’s resolution to go see some live theatre in 2018. Our city is lucky to have such a vibrant arts scene, but they cannot do it without you, the audience. A sophisticated bedroom farce: A Little Night Music (Patrick Street Productions) – there is a reason this one found a home in both New Westminster and Richmond this year. 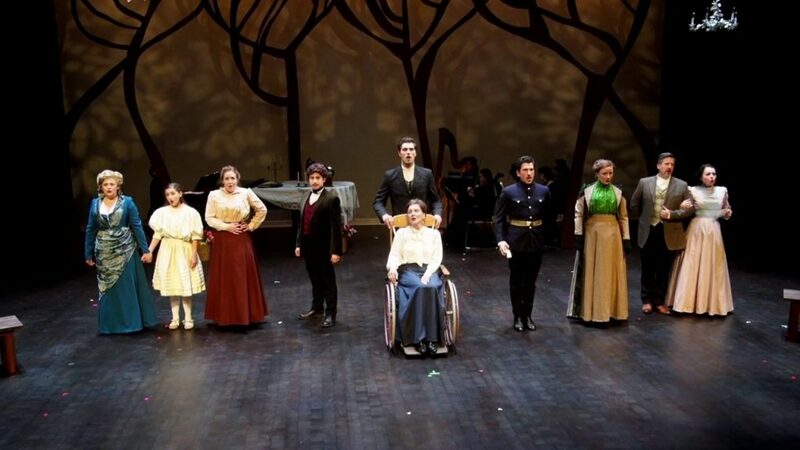 Its superb orchestra and wonderful performances brought this Sondheim musical to life. 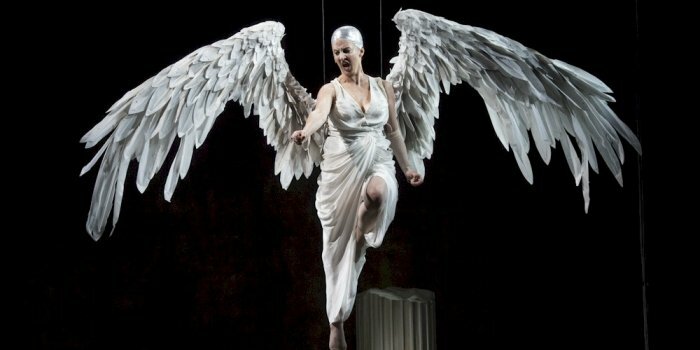 An angelic double-header: Angels in America Part One: Millennium Approaches & Angels in America Part Two: Perestroika (Arts Club Theatre Company) – with its seven hour run-time combined, Angels in America is a workout for both audience and actor. Under Kim Collier’s guidance though, the 25th anniversary productions of Tony Kushner’s epic plays were heaven-sent. 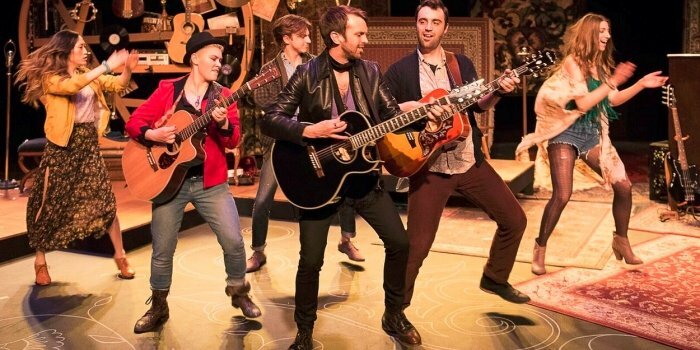 Joni never sounded so good: Circle Game (Firehall Arts Centre) – I declared this one a perfect show. And while it may be more concert than musical theatre, it is hard to ignore perfection. The cast of Circle Game: Reimaging the Music of Joni Mitchell. Photo by Emily Cooper. An offer we could not refuse: Corleone: The Shakespearean Godfather (Classic Chic Productions) – this isn’t the first time Classic Chic Productions has hit our best list. Once again they brought us a compelling story with an all-female cast, in which Nicola Lipman made for an imposing Godfather. Members of the cast of Corleone: The Shakespearean Godfather. Photo by Ron Reed. 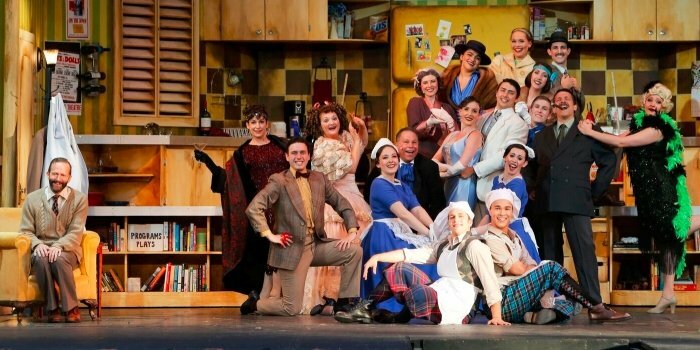 TUTS grows up: The Drowsy Chaperone (Theatre Under the Stars) – two-for-two this summer with a spectacular production of Mary Poppins, it was this more adult fare which edged out the kid’s show for a place on our list. 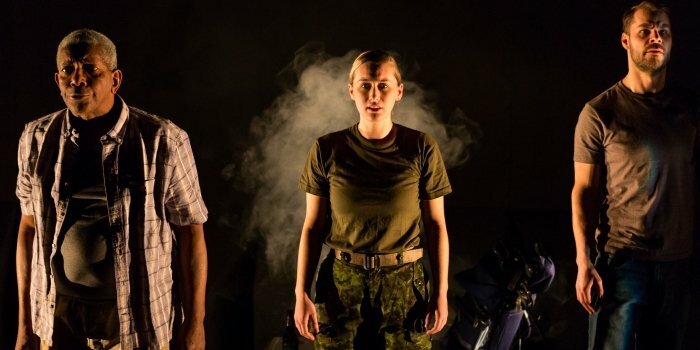 War is hell: The Fighting Season (Bleeding Heart Theatre) – Sean Harris Oliver’s devastating story of life in a Kandahar field hospital is punctuated with the horrific effects of PTSD. That it was inspired by actual events made it that much more harrowing, horrific and heroic. 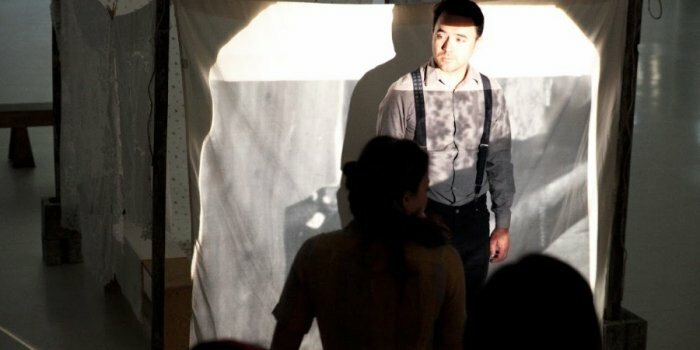 Sights and smells: Japanese Problem (Universal Limited) – a dark piece of Canadian history comes to life in this compelling site-specific drama. It lingered in the mind along with the smells that seeped into your clothes. 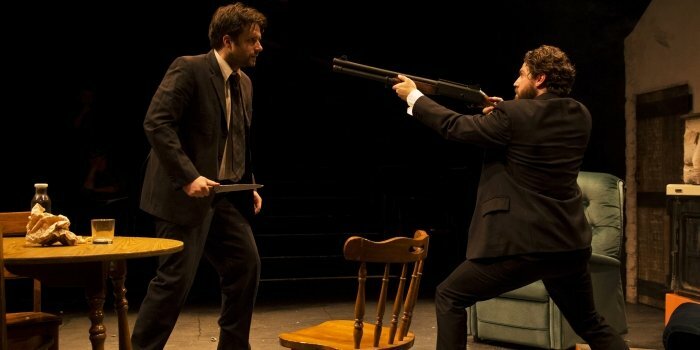 A fecking great start: Lonesome West (Cave Canem Productions) – Pacific Theatre took a chance with this new theatre company and it paid off big-time. This trip to Leenane was definitely worth it. 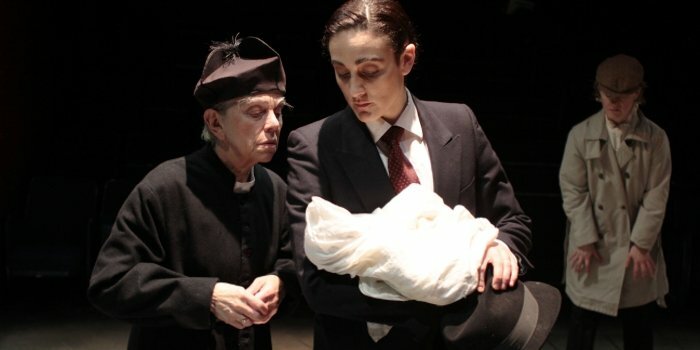 Exploring race with laughter: The Shipment (SpeakEasy Theatre) – this is one show that seemed to arrive at just the right moment. 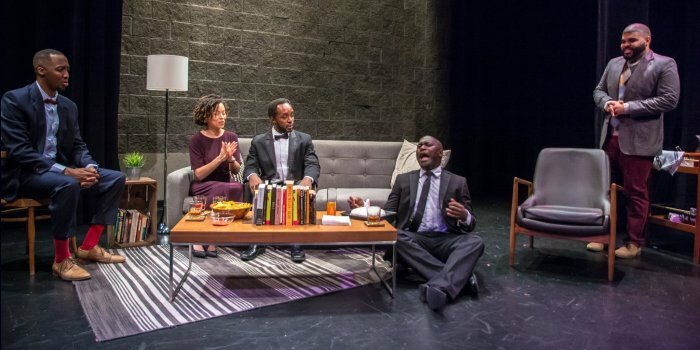 It not only brought five black actors to the stage, it used humour to help audiences reflect on their place in the conversation about race. The cast of The Shipment. Photo by Ryan McDonald / Chicknskratch Productions. 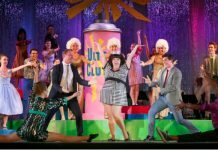 What happens in Vegas: Viva (Aenigma Theatre and Bright Young Theatre) – emerging playwright Scott Buttons’ latest play arrived just as the mass shooting in Vegas had taken place. 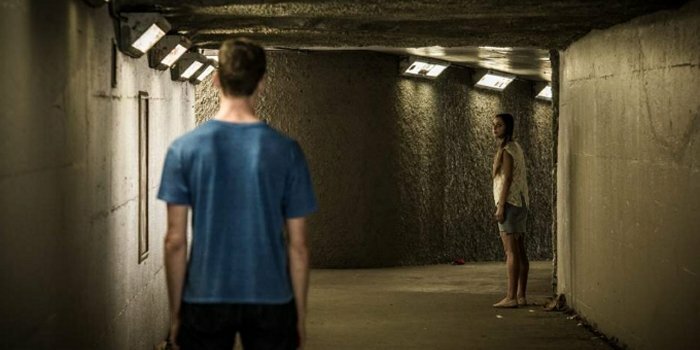 While its timing brought additional resonance, it was hard to ignore a play giving hope at an intersection of humanity.